gastrodoc had the most liked content! I have a Remington Sendero in 25-06. One of my favorite guns. Who Here Will Start Their Spring Turkey Scouting Soon? Hey Larry Any rust or blemishes on metal? How about stock? 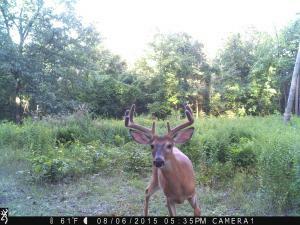 Larry--awesome buck! Was that 8N? What makes or breaks certain hunters? Bucks are definately searching and the dominant bucks in the area may very well already be hooked up with the first estrous does. Saw quite a few searching bucks this week at all times of day in 8N. Also am seeing lone fawns without their mothers. Jumped a real nice buck bedded with a lone doe at 2pm while riding my bike down near Hemlock Lake on Wed.